← What are you eating??? The truth about Turkey Bacon! Posted on February 12, 2014, in Healthy Fab and tagged chia seeds, curly girl fitness, fitness, health, healthy-living, The Rays Of Sunshine, vegetarian. Bookmark the permalink. 3 Comments. 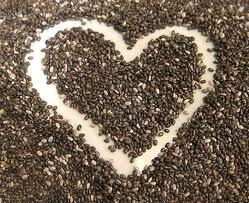 I love adding chia seeds to my smoothie! Such a good boost of omega 3s.